In today’s increasingly complex business environment where businesses are in an ongoing battle for new customers, smart practitioners focus on keeping current clients. And this tactic works: those who retain existing customers are in a more favorable position than others that tighten their belts because they’ve spent too much marketing dollars attracting potential clients. E-commerce counts among the most competitive industries and e-businesses are in an endless search for revenue streams. However, many e-stores overlook opportunities offered by email marketing, though it’s a winning way to turn prospective leads into customers. 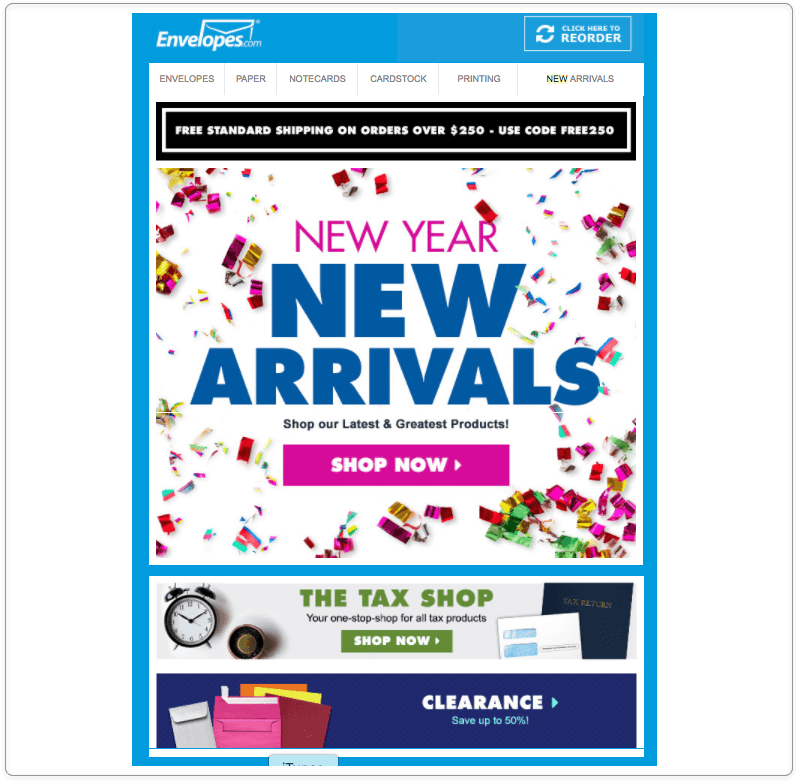 In this article, we share tips on launching a successful email campaign and discuss how e-stores (Magento-powered ones in particular) can measure its success. Before starting off with the first email blast, you need to do some preparation. Here are pieces of advice that will help you during the preparation stage. As a marketing campaign represents a course of action centralized around one specific message or goal, it’s absolutely necessary to define its focus first. Generate 500 leads who are interested in the spring-summer 2018 collection by March 31, 2018. This will help you measure the effectiveness of the email campaign once it’s wrapped up. It’s a misconception that you can use any recipient list to reach the goal. E-retailers who buy third-party email databases usually fail to obtain the desired result. Sending an email blast to people who are not their target audience, e-stores usually get blacklisted and damage their sending reputation. That’s why marketers should use emails from people who want and expect their emails. Segmenting the recipient list will help you target clients with the surgical precision. To put it simply, this tactic helps you reach the right people with the right content. 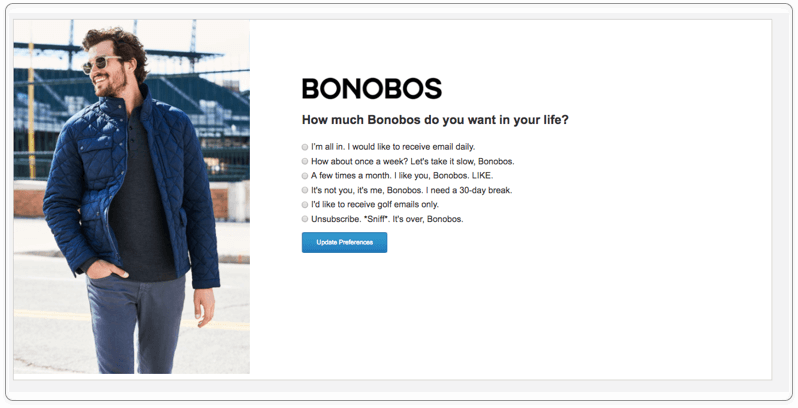 According to SendGrid, the more you bombard your subscribers with emails, the fewer people will engage. So, do not overuse this marketing tool. Decide on the optimal number of emails you’re going to send out and stick to the original plan throughout the whole campaign. Choose the day or days of the week for your e-mail blasts. Sending out emails in the middle of the week and in the middle of the day is a tried-and-tested strategy. Take into account time zones where your customers are located in order not to send emails too late or too early. By the way, Tuesday is believed to be the best day for email newsletters. But consider weekends, as well, since many people tend to check their email boxes on these days more often than on business days. People check their email boxes right from their smartphones and tablets. That’s why it’s important to create mobile-optimized templates can ensure the perfect look of emails on any device. Pay attention to subject lines. Subject lines are the first thing that readers see, and it will take them just a few seconds to decide whether the email is worth opening. Don’t forget to take care of images in your templates. If they are not enabled on a device, the viewer may misunderstand the message and you’ll lose a potential lead. So use HTML for the text and images. E-mails often end up in spam folders due to the bad HTML code. So double-check that everything is coded correctly. 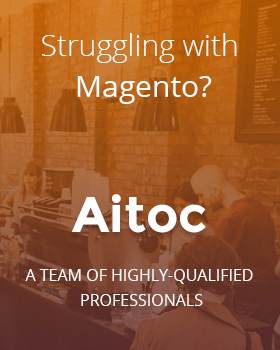 Magento 1 stores can use Aitoc’s E-mail Templates Manager for this purpose. Be cautious about including emojis into the template. ISPs view them differently, and the recipient may see a crying face instead of the smiling one. Personalization is essential for establishing a connection between you and the recipient. It’s a wise idea to utilize substitution tags for names. You can also personalize the ‘From’ field by displaying the name of a real person. This will help you build trust with your readers. Prompt subscribers to share your products, services, and offers with others by including forward and social sharing buttons into your email. You can also launch a referral program to give discounts to those who invite friends to subscribe to your newsletters. Make it easy for readers to find the unsubscribe link. Otherwise, those who are not interested in receiving your emails will mark them as spam and harm your sender’s reputation. Surprisingly, unsubscribers can be even beneficial for your business: you can ask them to take part in a quick exit survey to gain an insight into why they’re opting out. You can also create a compelling unsubscribe page to entice people to stay on your list or at least follow your social media accounts. 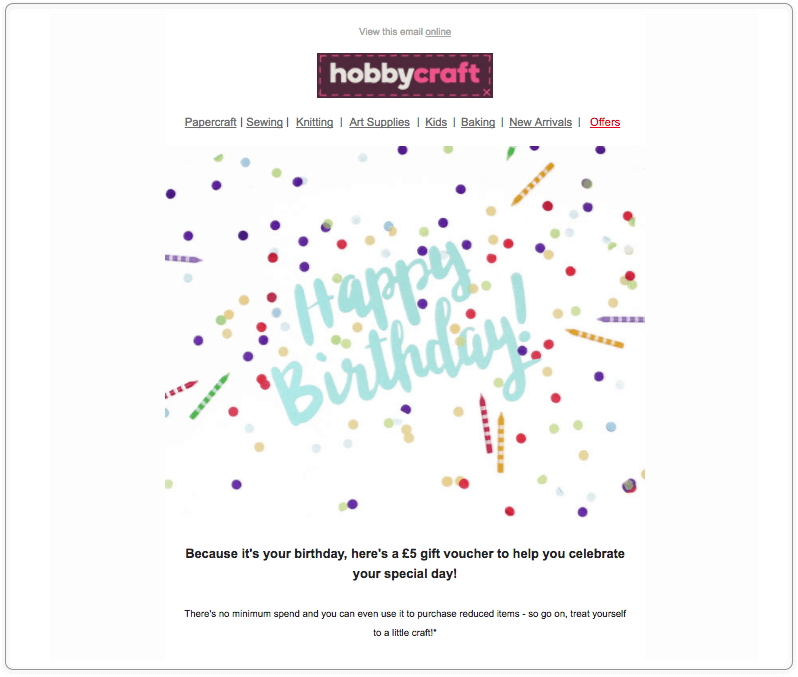 We’ve described some effective handy tips on making your email irresistible for subscribers. 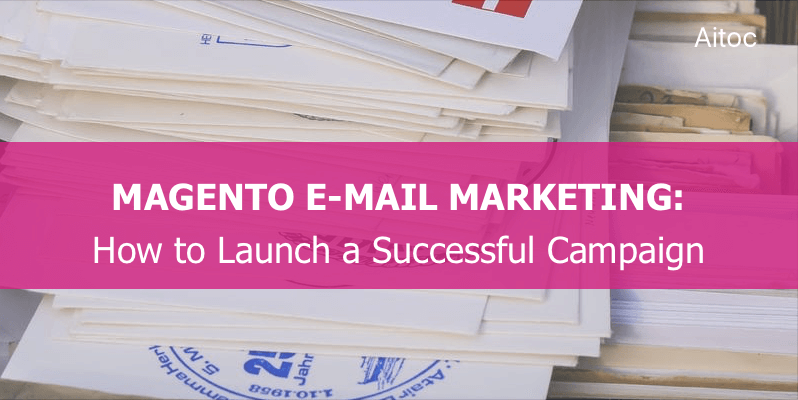 But what are marketing emails you can use in your Magento email marketing campaign? The following emails prove to be the most effective in terms of subscriber engagement. 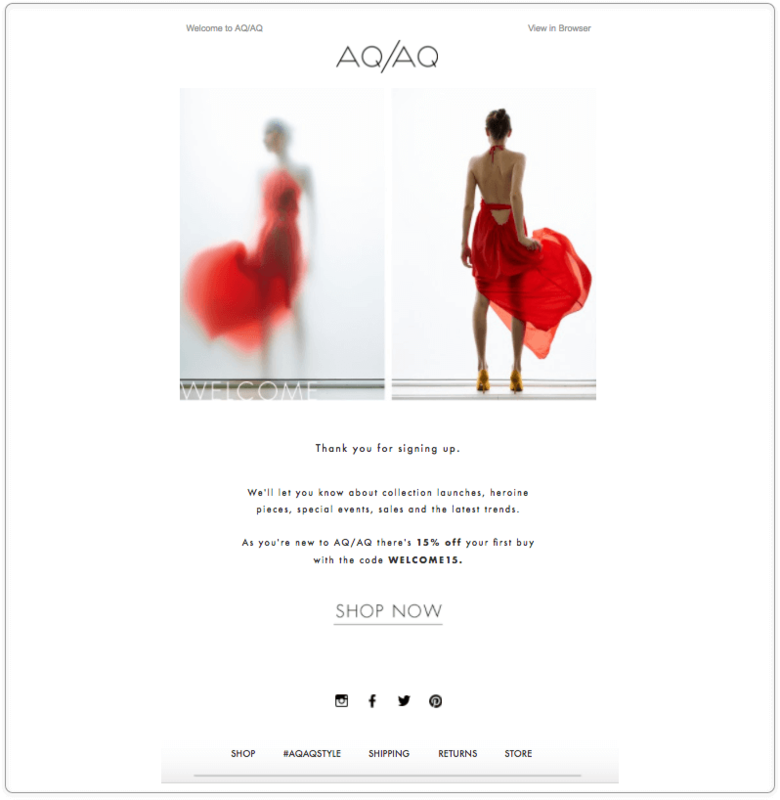 Welcome emails help online stores create a good first impression. 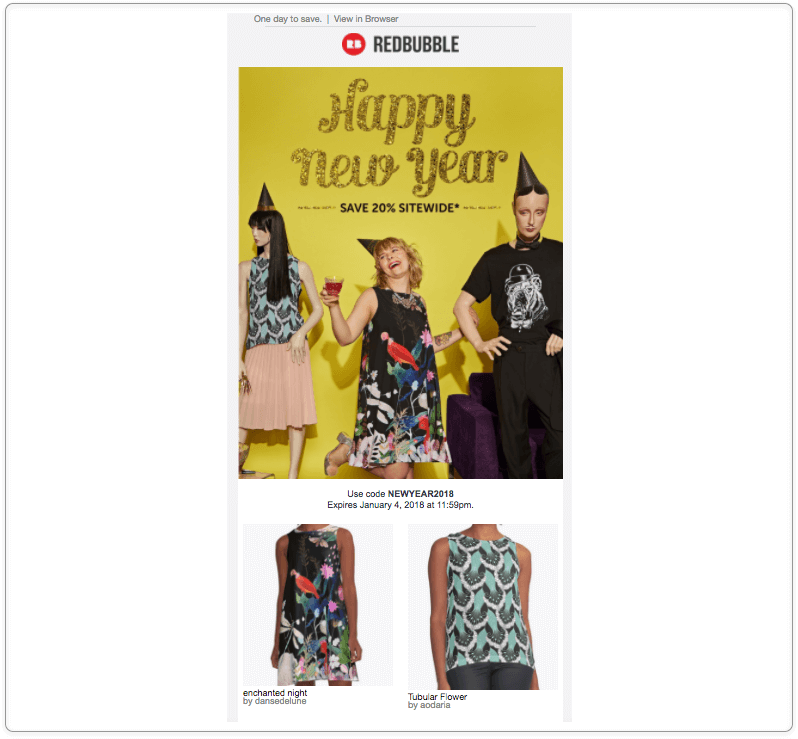 To cue subscribers to make the first purchase, marketers often add discount codes to these emails. Marketers use curated newsletter emails to draw readers’ attention to specific content. For instance, to Nasty Gal includes best sellers into its newsletters. Sharing information about new products and services is a great way to drive their sales from the get-go. 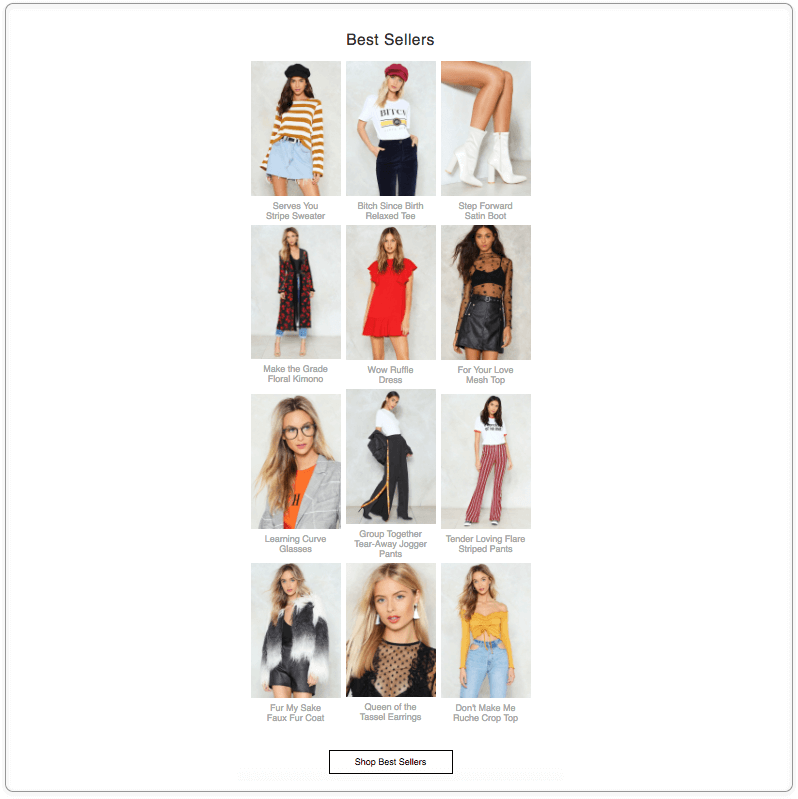 Effective sales, post-purchase and shipping confirmation emails often take advantage of cross-selling and upselling, thus nailing e-store’s conversions. Make your readers stay with you and lure them into making a new purchase by sending subscribers special discounts. Being in a frenzy during holidays, shoppers purchase an enormous number of items both off- and online. 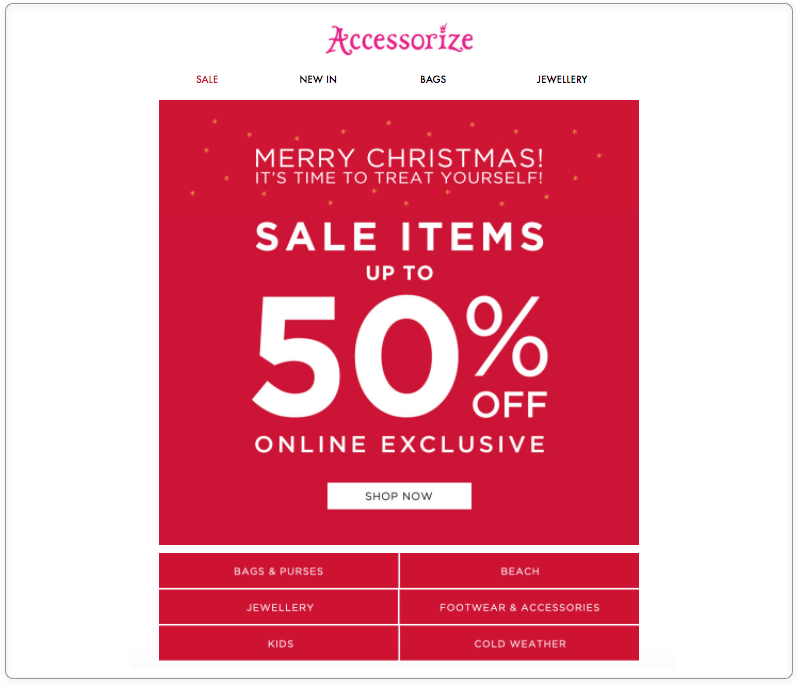 So, e-stores jump at the chance to increase their sales by sending out newsletters where they promote their seasonal offers. Such emails can do a good turn by inspiring the customer’s loyalty. Wise marketers include one-time discount codes into them. Multiple e-stores send cart abandonment emails, and Magento retailers are no exception. These emails persuade clients to come back to the store and complete the transaction they’ve recently abandoned. Merchants use different solutions (e.g., Abandoned Cart Emails Pro for Magento 2) that help them automatically send such e-mails to customers. Email marketers should keep track of the campaign’s performance and measure its success at different stages. Here are the go-to email marketing metrics you can use for this purpose. This metrics shows the percentage of emails you sent that were successfully delivered to recipients. If the rate is low or is declining with each email blast you send out, it’s time to clean the email list to make it healthy. The percentage of emails that were not delivered to recipients. Emails can be undelivered due to different reasons, making bounces ‘hard’ and ‘soft’. Soft bounces stem from a temporary problem with a valid email address (e.g., an addressee’s server-side problem or full inbox). When it comes to hard bounces, there’s a permanent reason why emails cannot be delivered (e.g. an invalid email address). Your task is to reduce the number of hard bounces to make a good email list. This is the ratio of readers who clicked a specific link in the email and completed the desired action. The fact that recipients have received your email and opened it doesn’t mean that you’ve obtained the necessary result. Users must click the links in the email, showing their engagement. Emails can be effective – their average click-through rate is around 3%, while the same of tweets is under 1%. But customers click links included in the email only when they find the content relevant. The percentage of subscribers who share the email content on social networks or forwarded the email to others. If your emails are shared on social media or forwarded to someone else through email, you can be completely sure that subscribers like your copies and they will certainly come back to your store again and again. You can find out this rate by dividing the total number of clicks on share or forward buttons by the total number of delivered emails. And that’s not all. When subscribers forward your emails to other people, you get potential customers and, possibly, new subscribers. It’s crucial to learn which types of offers and articles are shared most and always add them to your campaigns in the future. If the goal of your campaign is to encourage subscribers to perform a particular action (e.g., make a purchase), any person who carried out this action counts as a conversion. Leverage Google Analytics to set up Goals and track such actions. Remember that it’s normal that a conversion rate is smaller than a click-through one. To improve the conversion of your emails, make them responsive so that mobile users were covered too. If an email isn’t optimized for mobile, it will be immediately deleted by mobile subscribers. A rate at which your email list is growing is also very important. Even though email lists are inclined to decay, marketers do their best to grow them constantly. To achieve a high list grow rate, try to eliminate spam complaints by considering the needs of your customers and reducing the number of spam-like emails. Pay attention to subscribe and unsubscribe rates. The subscribe rate can be high but you can’t start resting on your laurels. The unsubscribe rate may become high too anytime, you should review the strategy as soon as possible to make your subscribers stay and entice other shoppers into subscribing. Email marketing is a reliable means of retaining existing customers and attracting new ones. 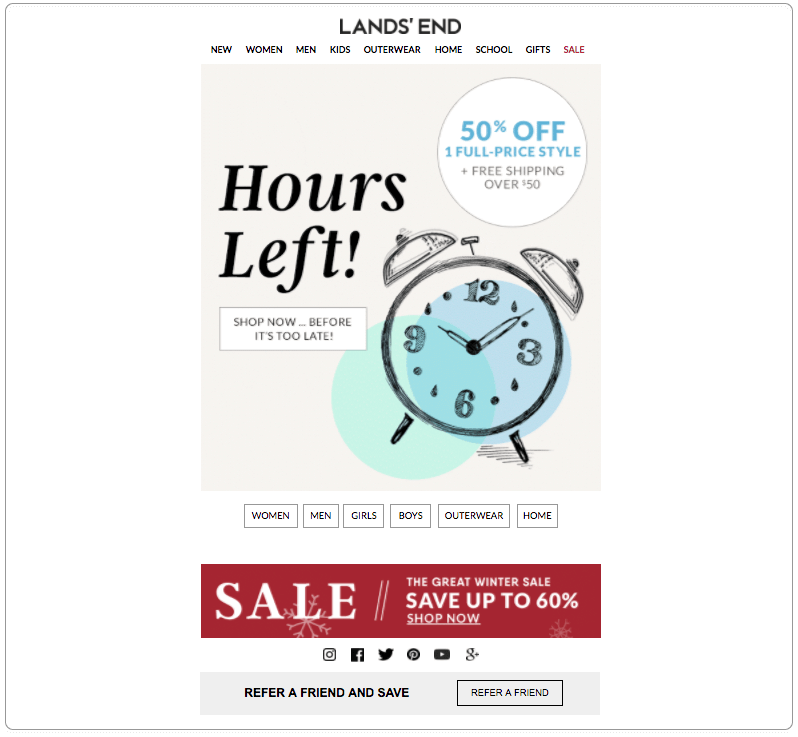 Online stores should be well-prepared for every email marketing campaign they are going to launch. We hope that the tips we discussed in this article will assist e-businesses in their marketing endeavors. In case you’re looking for an all-round solution to automate email marketing in Magento, check out our Follow-up Emails extension.